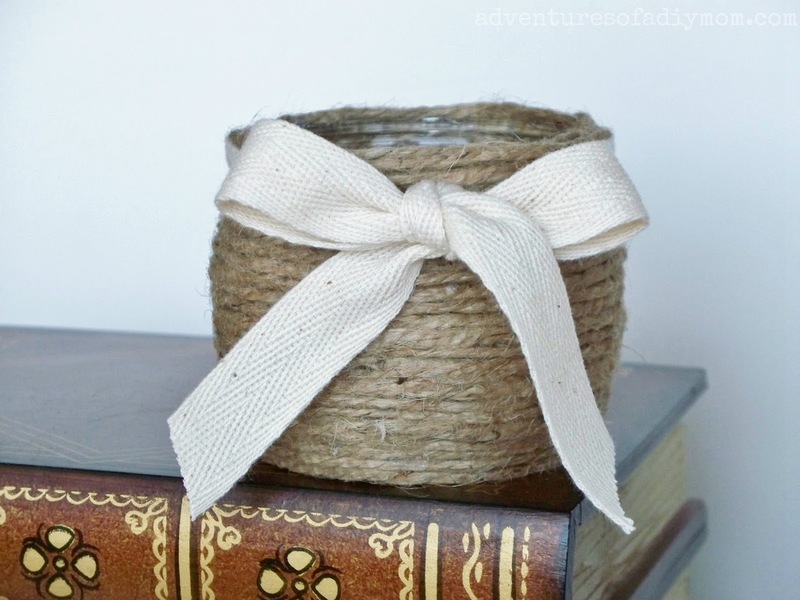 I think I must be the last craft blogger to make a twine wrapped jar. I've seen them for years, and I always wanted to try my hand at one. When my husband brought some unique juice jars home from work, I knew that it was finally time to try it out. 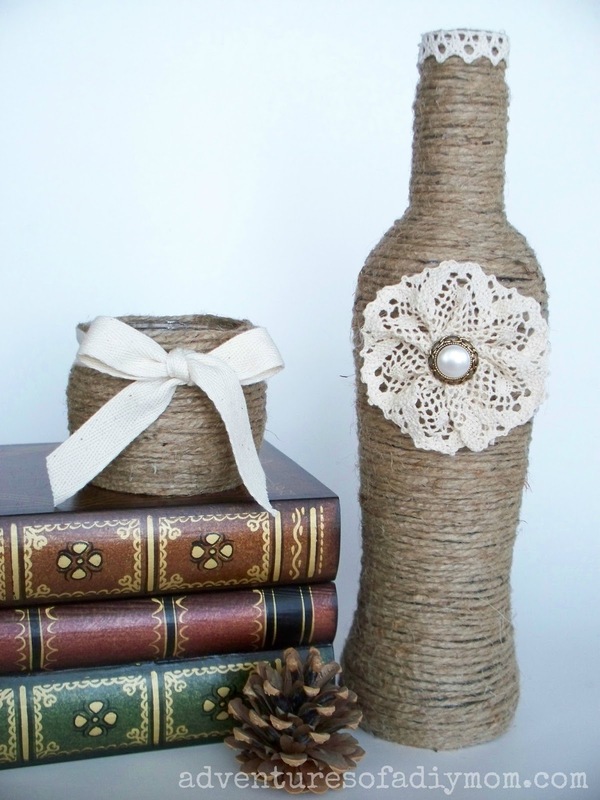 The twine brings a rustic feel, add a touch of lace or ribbon and you have a perfect combination. 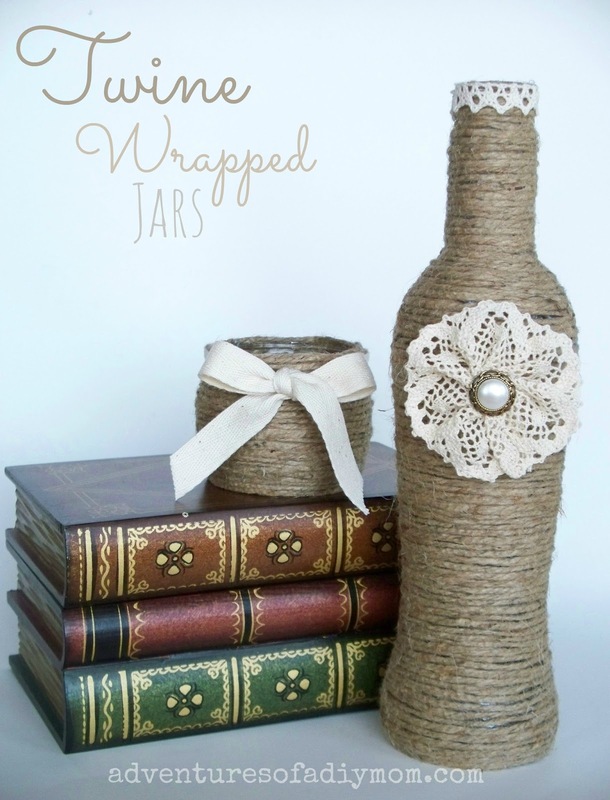 Twine wrapped jars are very easy to make, although they are a bit time consuming. Just grab your hot glue gun and some twine. Wrap your twine around the jar, gluing every so often to keep it from sliding around. Easy peasy. Once it was all wrapped, it just looked a little plain. So I grabbed the leftover lace from my Burlap and Lace Mason Jars, and lined the top, then made a quick flower. I shared the tutorial for the flower yesterday. I think I like this little jar even better. I just love the shape...and the ribbon. It's a shrimp cocktail sauce jar. It's been kicking around because I have a annoying tendency to keep any container that looks like it might be useful in the future. Can you guess where the ribbon came from? It's also re-purposed. You know when you get flannel pajamas and they're wrapped up with a ribbon that's tied in a bow? Yep, that's where it came from. 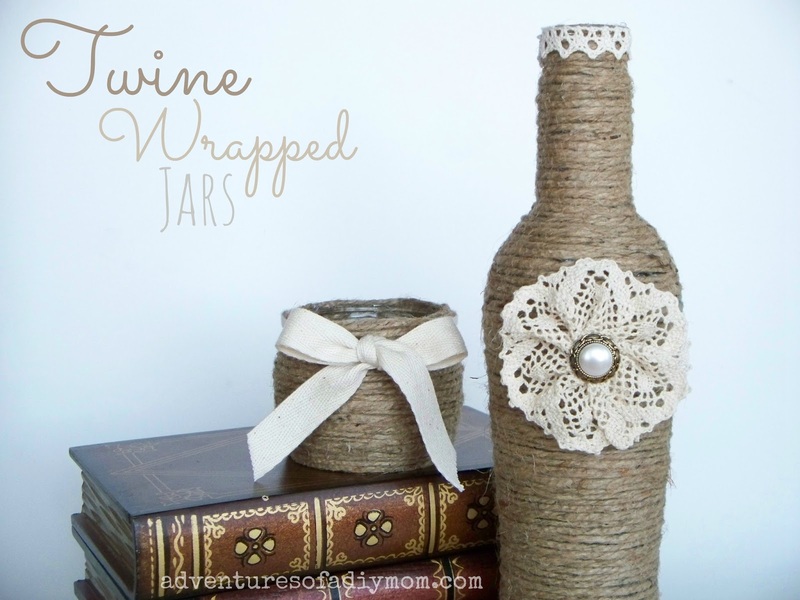 So have you already tried twine wrapping jars? Am I the last person on earth to try it? Which jar is your favorite?